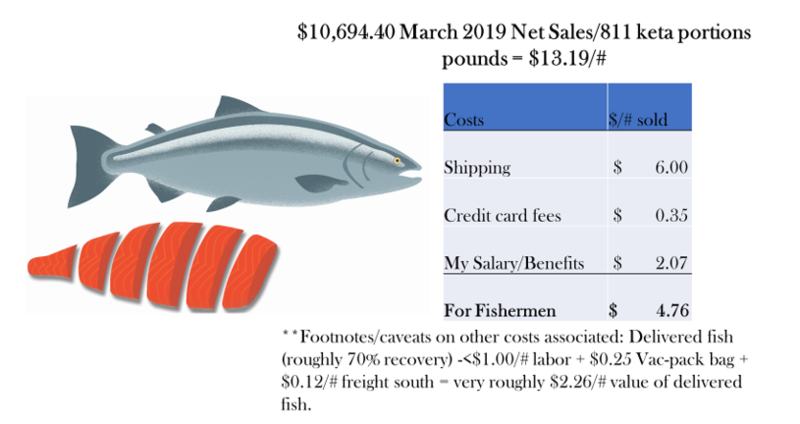 My only wish is that we were moving more pounds through the Alaska Gold website in order to add more value to the fish that the co-op produces. In the office, we treat Alaska Gold as SPC’s “customer,” and SPC “sells” to Alaska Gold. 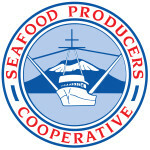 Alaska Gold is now SPC’s 11th largest customer. I recognize that 3800 finished pounds/month is a small dent in the 6.1 million pounds SPC produced last year, but we are moving the needle. December, you will notice, is a particularly strong month profit-wise because it was also a strong month volume-wise. Just as it is for the co-op as a whole, the Consumer Sales web business will be more profitable when more pounds move through the website because each pound sold helps cover the fixed costs. Just as it is for the co-op, the volume of a species helps the volume of other species. All volume helps cover fixed costs (i.e., monthly fees, my salary, etc.). Currently, we spend very little on advertising and rely on organic growth (i.e., word of mouth and timely newsletters). The only promotional dollars we spend are the $48.92/month we spend on an email newsletter program that reaches roughly 6000 customers. Without a doubt, our deepest levels of engagement and profitability come from the email newsletter and this organic growth. I would guess that the success with the newsletter would be explained by the loyalty of customers and the nature of the product. When we talk about Marketing, most people only think about Promotions, but in the 4 Ps of Marketing I would argue that Product is the most important and Pricing a very close second, not to mention positioning, too. I’ve spent the last year really dialing in these other 3 Ps for Alaska Gold. In addition to the actual fish, Alaska Gold service is an important component of the Product. It’s taken a while for Alaska Gold to become fully profitable. What prevented us in the past from becoming profitable was spending on advertising. However, if we hadn’t spent on ads, we wouldn’t have built the current customer base. We were actually selling a bit more pounds/month before July, the month we first truly became profitable, but advertising spend was high (recognize that it took years for the Amazons of the world to also become profitable). In a former life, I worked in the dot com boom and bust period of the late 1990s and early 2000s. I watched fancy websites being built and there was an attitude of “if we build it, they will come.” But few came to the fancy websites unless the websites offered something that people truly wanted. Alaska Gold, I believe, is a proven concept, one worthy of growing, especially considering that we would like more of SPC’s growth to come from domestic sales. When dot-coms spent a lot, I experienced the bust, too. Based on Alaska Gold’s current profitability and the potential for more profit with more volume, I am going to explore advertising again, but carefully watching that we don’t overspend. 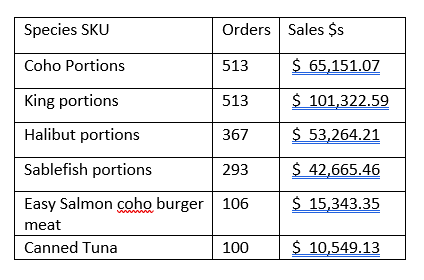 I have kept track of ROAS (Return on Ad Spend) and have a pretty solid idea of what brings the best ROAS to keep this attempt for more growth as cost efficient as possible and hopefully bring in more $s for your pounds over wholesale sales. With SPC’s Ambassador program coming being developed, I see Alaska Gold working hand in hand and complementing each other. For those owners who would like to share fish with friends and family down south and wanting to earn a little commission without hitting the pavement to conduct sales, contact me for an SPC owner coupon.